So we have a great Company Promo Idea to help you to solve the problem of most successful business people. A successful business person always needs to have a notebook to make some important notes. Also they need to have a card holder to give or take business cards. Besides this it will be good to have a pen to sign millions of checks. 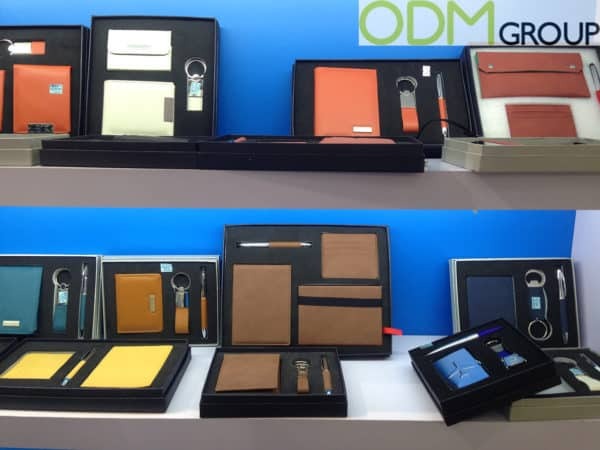 Why Use Corporate Gift Sets As A Company Promo Idea ? Increase Brand Value. Just place the logo of the company on it to emphasize the value of the brand. Even if an employee leaves the company, he or she will still use these promotional gifts anyway. The main reasons are convenience and quality. These essential items can attract a lot of attention with their great looks. These kind of marketing gifts usually have a great advertising effect. Personnel retention. Really good idea of retaining personnel by providing them with these kinds of premium gifts. Giving corporate sets as free gifts, the image of the company could be improved. Besides the interest to companies’ production could be increased as personnel will receive a gift they can use. There will be higher moral if they know an employer remembers and cares about them. There are a lot of promotional corporate examples, but what if you give the employees something they really need? This is a great looking and very useful promotional product. 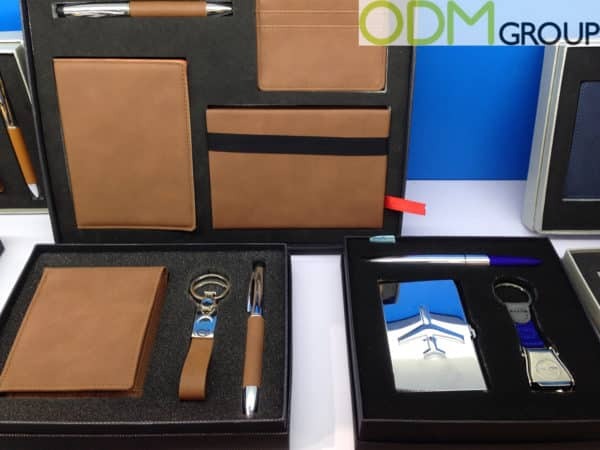 If you are interested in having a promotional product manufactured in China then contact us today and quote ODM-1220 for this stylish and professional PU corporate gift set. Want to retain your customers? Try corporate gifts!